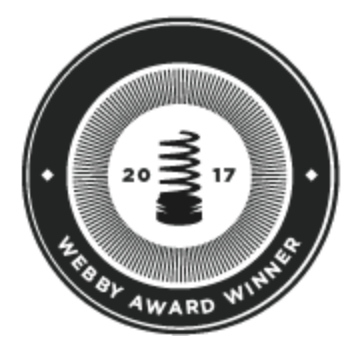 Our work with the Australian Ballet, been recognised by our world peers at the 21st Annual Webby Awards. 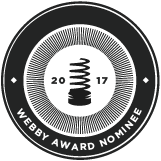 As a 2x Webby Nominee, our work has been singled out as one of the five best in the world cultural Institutions. Best cultural institutions Website & Mobile Site. As one of Australia's premier arts organisations, The Australian Ballet is world class. Their digital presence had to be an extension of this excellence online. When one goes to a performance in a theater, one remembers the magic on the stage. The characters, the sets and costumes, the music, and of course the skills of the performers. Unless they don't work, no-one notices the box office or cloakroom, nor thinks about philanthropy, unless it's right in front of them. Our challenge was to build a seamless extension of the Ballet's operations online while allowing their stunning content to shine through. We worked with the Ballet to produce a digital offering that, like a stage, will change dramatically with the insertion of new content each season. In the meantime, the business functions of The Australian Ballet will continue to serve the needs of the organisation, and most importantly, it's visitors for the life of the site. By an extensive integration of the Tessitura system for all functions including ticket and subscription sales, online store, customer relationship management, philanthropy and merchandising. With peaks in traffic around several periods in the Ballet's year, a careful hosting solution for both the site and Tessitura was reached ensuring site stability during these important times.